It started as an homage. Then I said to myself… “Well, you’re having fun with these. Why don’t you do something a bit more ambitious”. So I came up with this concept, the “CRIME CARDS”. I’m going to draw a series of A5 sized cards, that I’ll sell at shows. Not all of them will be Spider-Man Noir of course. And not every one of them will be “Frank Milleresque”. But I think it’ll be a fun experience for me and hopefully something people will like to collect. What would you guys want to see? I’m up for Batman and Superman, of course, but also more obscure characters that I love from Marvel, DC and Image. Let’s talk about this! 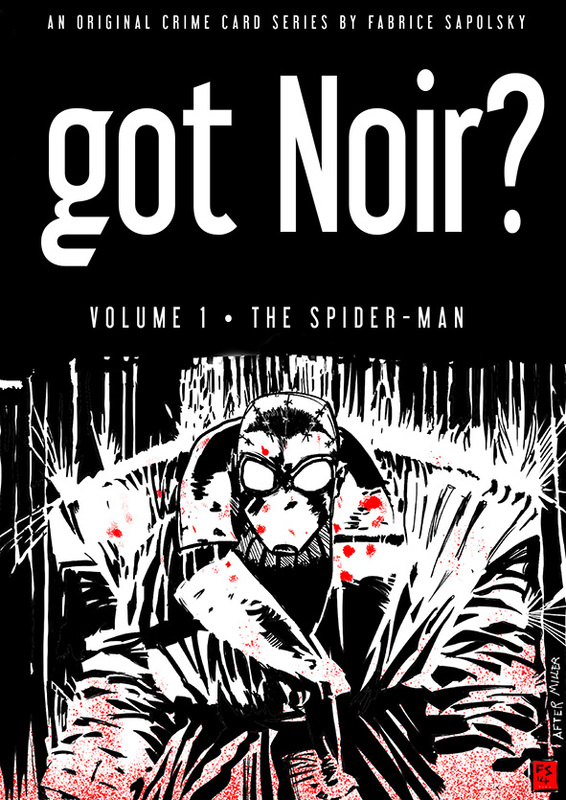 In the meantime, here’s the first one, Spidey in all its Noir glory.